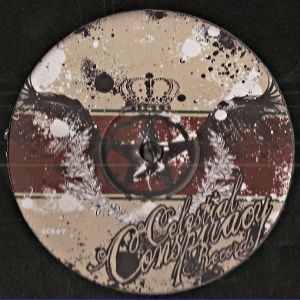 double 12inch pack with 45 rpm cuts from 2010 on celestial conspiracy. this release is some refixes of tunes by marina i guess. two tunes remixed in a heavy jungle drum and bass style. this are wicked works here! awsome breaks and sound edits.